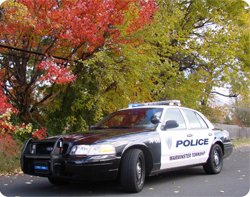 The Warminster Township Police Department serves the Township 7 days a week. The department strives to provide an effective and timely response to crime and disorder, works with the community to enhance their quality of life, promotes safety in the community through professional services to all citizens. K-9: A specially trained Police dog works with officer in drug detection and/or bomb detection. Bike Patrol: Officers are trained in techniques to utilize a specially equipped mountain bike to fight and prevent crime. Highway Safety Unit (HSU): Officers dedicate their shift to enforcing traffic laws, conducting traffic studies, and assisting the patrol squads with more serious accident investigations as well as normal patrol duties. SWAT: Highly trained officers in the areas of tactics, weapons, and special incident response. The members of this unit are Warminster Officers who are attached to the central Bucks Special Response team (CBSRT) with Officers from around the County.